Looking for tropical theme or Hawaiian luau tropical theme party rental ideas? 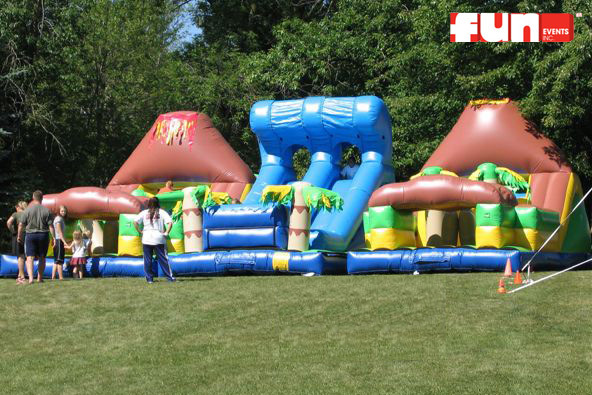 While racing, participants will pass through palm trees, climb the hot lava volcano and climb the giant surfs up wave slide on the Tropical Inflatable Obstacle Course. 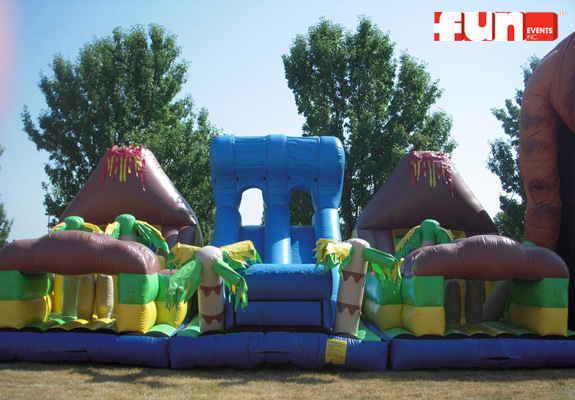 This inflatable obstacle rental is great for all ages and tropical theme parties.